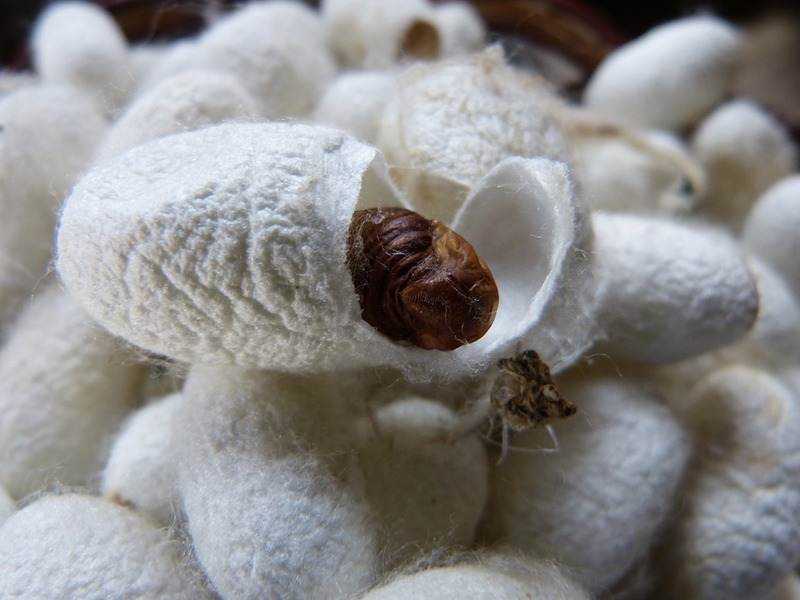 Silk is made out of the long threads from the inner cocoon of a silkworm. These long threads are harvested, and spun together (reeled in technical terms) for our use. “When done well, silk manufacturing can be a harmonious and low waste process. Silk worms keep a raw, gluten-free, dairy-free diet which consists entirely of mulberry leaves. The mulberry is a hardy tree, resistant to pollution and easy to cultivate. The tree bark has medicinal properties and the fruit can be used as a natural dye or to fill a pie. The leaves of the mulberry will feed the worms and the worms, in turn, can feed the farmers. The next stage of production can involve chemicals and harmful dyes, so it’s important to choose unbleached and naturally-dyed silk. We work with smallholders in India who get third-party certifications for their silk threads and fabrics. The ethics of silk is another matter - the abuse of silkworms just for their magnificent cocoons is obviously quite cruel, though there are ways around it. If the silkworm is left alone, it will naturally emerge from the cocoon when it’s ready, though this breaks the continuation of the threads and makes it harder to harvest the threads. So while it prevents any cruelty to the worm, more cocoons are needed and there is more work involved to spin ethical silk. The Ahimsa Silk movement from India is an example of this, and since the early 1990s has revolutionised ethical silk production. Syra Brownlock sources purely ahimsa silk, such as tussar, from India. Each cocoon is individually checked to make sure the worms have escaped, before the cocoon is boiled and spun into silk. Sericulture is a huge source of income for rural populations, particularly women, in both India and China, with nearly eight million workers in India. These women treat the cocoons, spin and weave the cycle, and then dye it for commercial use.